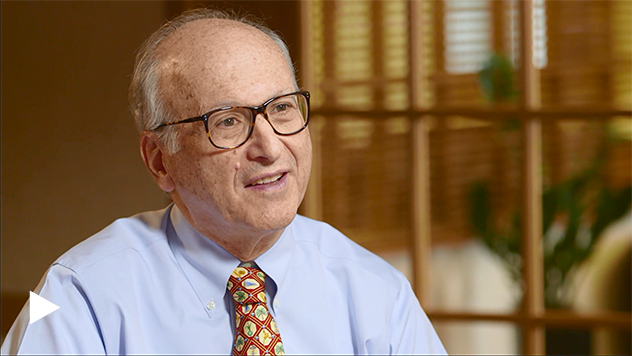 With perception and reality possibly mismatched and uncertainty around future fiscal policies, Portfolio Manager Charlie Dreifus discusses what might be next for small-caps. So, 2016 was a good year in the market and a great year for your strategies. But we had elevated expectations and valuation. What's your perspective on where we are in the market today with those two points? Charlie Dreifus: Well, I do believe that the market is priced for good outcomes. And, hopefully, we get them. But what I think is lacking is the understanding that what drove those expectations is the optimism, which is certainly necessary. We had a great deal of hesitancy and low confidence earlier last year. And businessmen are more confident, consumers are more confident. Clearly, investors are more confident. To the extent that the pivot point was the election, I'm a bit concerned that everyone's assuming that whatever the President-elect is proposing that drove that confidence is going to be enacted smoothly and easily. And in reality that's probably not how it's going to happen. So, perceptions and reality are a little bit mismatched right now and that can cause some, at least pause in the market, if not a decline in the market. You've written previously about how the late quarter advance, maybe pulled forward some of 2017's advance. And I guess you're suggesting with your comment that that is a concern. CD: Yeah, there are many ways the market can consolidate. Some of that has to do with how much already has been discounted. I do believe that it's unlikely that we're going to see a big move. Valuations, as we mentioned are not inexpensive. Rates are rising. It's interesting, sort of, you know, be careful what you wish for, because the Federal Reserve right now, which always wanted and had worked so diligently and with no avail for a long period of time to raise interest rates, they're starting to get concerned now. What will the fiscal policies that the new administration will enact, how will that affect inflation and with the unemployment rate so low, there's a lot of mismatching. When the economy is at full capacity in terms of labor, we probably should welcome more labor in the market to the extent it's needed, to restrain wage growth and therefore, inflation. Let's talk more about the animal spirits. There seems to have been a shift in that area. What's your view there? CD: It's something that was lacking. There was this great hesitancy, people stopped buying or didn't buy as they had in the past. Corporations weren't spending on Capex. Corporations weren't, with the exception of the very big companies, weren't doing transactional mergers and acquisition activity. Investors weren't really participating in the rise in equities in the sense of being more exposed to equities. So, animal spirits is a good thing and is something that can actually be very helpful. You've talked about corrections coming in two different flavors, effectively in time or in price. Can you expand more about that? CD: The time one is related to if the market goes flat in terms of price for a while and earnings improve, the valuations get better, so that's a correction that is less pernicious. The one that can test people's stress levels is a recalibration that occurs because of a black swan event, or actually things that are already being thought of, i.e., the whole concept that what if the Fed does have to raise rates more often into a larger degree because inflation is becoming an issue. Certainly, that's something that's not a black swan. People are discussing it. But actually, if that were to come to pass, my guess is that the market could indeed have a correction. And that is the kind of thing which, frankly, I, as a portfolio manager, with my investment process, would welcome. I welcome that in the sense it gives me many new candidates to invest in. As the market gets higher, there are fewer attractive opportunities around.